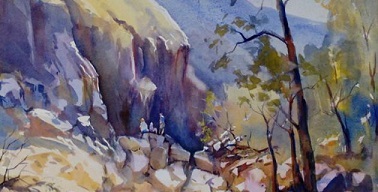 The KZNSA is to host an exhibition of selected paintings by members of the Watercolour Society KZN. Local artists include Barbara Siedle, Anita Giraud, Christina Godfrey, Maureen de Moor and many more. Featured works include the Society's “Highly Commended” Free State Pioneer by Marion Townsend and Royal National Park by Lorna Panzenbock, and “Best on Show” Slow Mo (Hippos) by Shelley Mattinson.